What helps to determine a large percentage of your overall attitude and health during the day? How well you sleep the night before is the answer. Which is why your mattress is the most important piece of furniture in your home. If you do not have a good mattress, it can affect your overall well-being. Sleep that is not as restful as it should be, can lead to irritability, fatigue and an inability to concentrate properly the next day. Having a mattress that does not meet your body’s needs can also lead to back pain. When it is time to get a new mattress, it pays to research what the best mattress stores in Kalamazoo can offer, as well as researching exactly what type of mattress will be most beneficial for you. A new mattress is a major investment in your personal health and comfort, so knowing exactly what to look for will help significantly in narrowing down the options and making a wise decision. For example, did you know a firm mattress isn’t always good for your back? Each person is different. A mattress needs to support your body equally in every way, keeping your body in proper alignment and most importantly, not aggravating pressure points, such as shoulders and hips. A mattress with a softer top and underlying support becomes more important as you age. Another consideration is the thickness of the mattress and whether a low profile box spring would make it easier to get in and out of bed. Two-sided mattresses will prolong the life of your mattress as you regularly rotate and flip it, in addition to giving you added value. It is also wise to make sure you understand the warranties and guarantees, as well, when you make a mattress purchase. 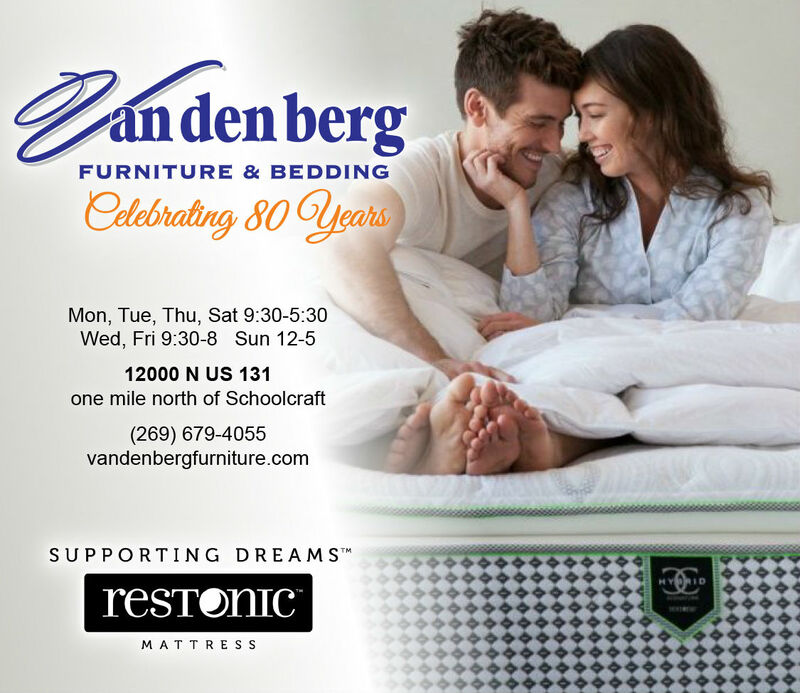 When you shop at Vandenberg Furniture as your mattress store in Kalamazoo, feel free to take your time. We will help you in all ways to make your selection is the correct one for you. The time spent in the store will be well worth it when you are enjoying restful sleep and improved health due to your perfect new mattress. Test each mattress you are thinking about buying by lying on it for several minutes. Lay in your accustomed sleeping position and move around a bit. If you normally sleep with another person, they should come along also and lay on the bed at the same time, testing how their movements affect you on the different mattresses. Bringing your pillow with you is smart because it will help you get a better and more realistic idea of what it would be like to spend a night on each mattress (the correct pillow is also important for your sleeping and neck position to avoid aches and pains! ).